As online-only retailers continue to see expanded success, traditional brick-and-mortar stores must turn to new strategies to keep up with customer demand. Today’s retail environment demands that the customer shopping journey be a seamless one as it transitions from a physical store to a smartphone app to an interactive catalog (or social media page, or other digital tool) and back again. But executing such a complex blend of multiple channels isn’t a simple matter, and not every retailer has figured it out just yet. Here are a few omni-channel retailing examples that seem to be on the right track. Kroger. The major grocery retailer, which currently operates 2,782 stores in 35 states, rolled out a new omni-channel initiative, “Restock Kroger,” in the fall of 2017. Restock Kroger aims to be a data-driven approach to optimizing shelf space and keeping customer favorites readily available. Personalized offers and coupons are also part of the new initiative. According to a PYMNTS article, Kroger collects more food purchase data than any other US organization, so it only makes sense that the company would put that data to use. An integration between the company’s existing ClickList online grocery ordering service into other digital offerings, such as rewards and recipes, rounds out Kroger’s latest foray into the omni-channel space. Nike. Nike has implemented omni-channel retailing by fully integrating their stores with their online presence in terms of both design and functionality. Both store and site are designed with a colorful, vibrant aesthetic that encourages exploration. Consumers can shop anywhere–online, in-store, via mobile–and order products to be shipped anywhere as well. In addition, the NIKEiD service is a unique offering that allows customers to design custom footwear and other merchandise for a fun, personalized design. This service is available online and in some stores, and store associates are trained to promote online options when they best suit a customer’s needs. In 2016, Nike took the added step of opening a richer in-store experience for shoppers in the Soho area of New York: the 55,000-sq-ft space boasts a mini basketball court, treadmill, soccer area, and customization shoe bar. Nike stores in China have even begun testing an immersive video game experience where customers can try out new shoes in a fantasy world. It’s an experience that e-commerce alone can’t offer. DSW. TotalRetail’s Top 100 Omni-Channel Retailers Report awards the number-one ranking to DSW, and for good reason. The shoe retailer tied with three other companies for the top spot but received the highest possible scores for omni-channel elements like “shared cart” (where brands and/or customer accounts can share a single online shopping cart) and loyalty points that can be earned and redeemed across channels. It’s likely that the retailer will maintain its strong focus on omni-channel as well: Roger Rawlins, who oversaw the company’s omni-channel strategy from 2014 to 2015, was named CEO in December 2015. Amazon. 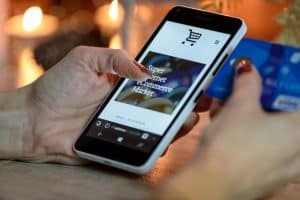 You might ask why the e-commerce king is on this list, but the execs at Amazon know that brick-and-mortar stores offer something valuable that even the most robust online shopping platform cannot: an innovative, memorable shopping experience. That’s why the company has begun to build a swath of physical stores, starting with grocery stores and bookstores, to serve as showcases and allow shoppers to browse and interact with products in person. Amazon’s physical locations have thus far placed a strong emphasis on a “frictionless” shopping experience in an effort to eliminate some of the hassles that usually come with shopping at traditional brick-and-mortar stores. For instance, the Amazon Go convenience store concept uses sensor technology to track items as they are picked up and added to carts; the technology then automatically charges the customer’s account when they have finished their shopping. These omni-channel retailing examples are not comprehensive, but they do give a good overview of what companies are doing in 2018 to stay on top of customer demands and retail industry trends. This post was originally published in 2017 and was updated March 22, 2018.